2010 marks the 100 year anniversary of RVing in the USA and the Recreational Vehicle Industry Association (RVIA) is leading a year-long celebration, with events and promotions designed to highlight the history and future of RVing. 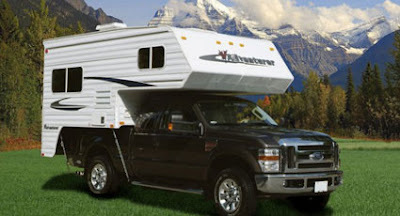 If you're looking for a great deal on RV Rental go to RVRentalSaleFinder.com. 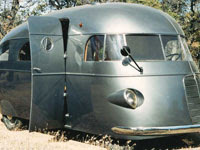 The RV Centennial (http://www.rvcentennial.org) celebrates 100 years of exploration and innovation. The concept of RVing captures the pioneering spirit of settlers who drove through North America in covered wagons, but 1910 is the year it really started. 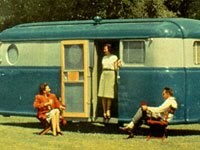 Mass produced campers and trailers were first built in 1910 and are the predecessors of today’s RVs. RV sales are on the up. After tumbling to 165,000 during the recession, total shipments are expected to hit 216,000 in 2010. Industry experts say those numbers are a good sign for those considering renting an RV for a vacation. To celebrate the Centennial, RV historian and RVIA media spokesman David Woodworth has been touring the USA with two RVs -- a 2010 Fleetwood Discovery and a 1916 Model T complete with a sleeping/storage compartment known as a Telescope Apartment. A huge party will be held by the RV/MH Hall of Fame and Museum in Elkhart, Ind. on June 7, during RVIA's 2010 Committee Week and Annual Meeting. For more - and downloadable RV Centennial logos and photos - check out http://www.rvcentennial.org. 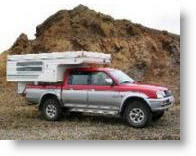 And remember - for a great deal on RV Rental go to RVRentalSaleFinder.com. Darwin is a great place to visit for a holiday, although you do have to look out for the occasional stray crocodile. Last week a news story reported that a Darwin holiday park had to cancel their water aerobics lessons because a 1.5 metre fresh water croc was already doing laps in the pool. 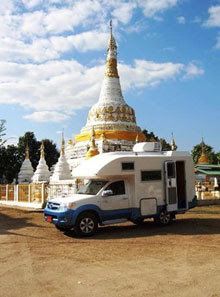 If you're looking for a great deal on Darwin Campervan Hire go to darwincampervanhire.com.au. Crocs may be abundant in the coastal Northern Territory but reports like this are few and far between. The water aerobics instructor has 20 years experience but said it was the first time a class had to be cancelled because of a crocodile in the pool. "I've had a few stars attending my classes, but I've never had a crocodile - I guess he's a star now in his own way," she said. (source: NTNews.com.au). Video: Crikey, look at the size of this croc! Don't forget to check out the great deals on Darwin Campervan Hire go to darwincampervanhire.com.au. 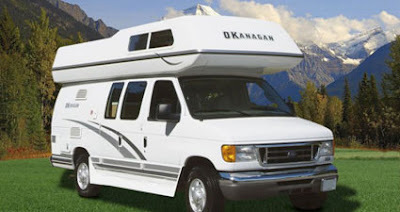 With pickup and drop-off points in Reykjavik and Keflavik international Airport, icelandmotorhomerental.com is the easy way to book Iceland Motorhome Rental. Iceland has beautiful lakes, glaciers and fjords to see from the comfort of a motorhome, although be warned, the Highlands of Iceland are a cold and uninhabitable combination of sand and mountains. There are also many geysers in Iceland, including Geysir, from which the English word is derived, as well as the famous Strokkur, which erupts every 5–10 minutes. 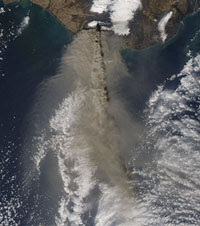 After a phase of inactivity, Geysir started erupting again after a series of earthquakes in 2000. 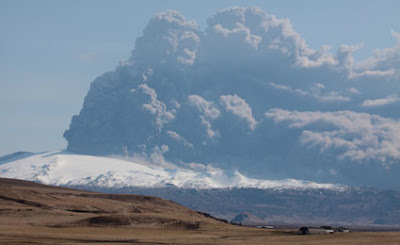 For Iceland Motorhome Rental go to icelandmotorhomerental.com And remember to play some local music on your journey from the likes of The Sugarcubes, Björk or Sigur Rós.